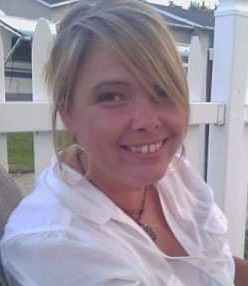 Crystal Lynn Erick, age 51, of Lancaster, OH lost the battle to cancer but remained faithful to Jesus on October 31, 2018. She was born December 31, 1966 in Columbus, OH. She faithfully attended TurnPoint Church. Preceded in death by her son, Zachary Aaron; grandmother, Matilda Browning and great grandmother, Arvelva Ward. Survivors include her loving husband, Keith Erick; three daughters, Samantha (Heath) Julian, Autumn Erick and Amber Erick; two grandchildren, Kayden Schmeltzer and Trinity Julian; parents, Zack and Linda Browning; two brothers, Zack Jeffrey (Roberta) Browning and Donny Ray (Sarah) Browning; numerous nieces, nephews and cousins. Family and friends may visit 2-4:00pm and 6-8:00pm on Monday, November 5, at the DWAYNE R. SPENCE FUNERAL HOME, 650 W. Waterloo St. Canal Winchester, OH 43110. A funeral service officiated by Pastor Joe Arata will begin at 12:00pm on Tuesday, November 6, at the funeral home with one hour prior of visitation.